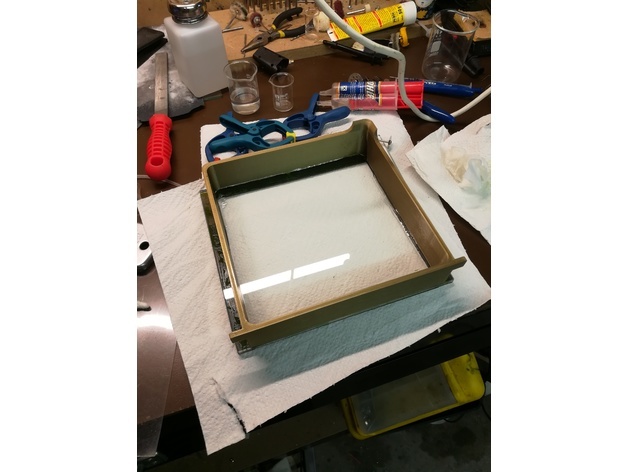 i designed this vat which works by combining a 4x173x193mm glass plate with 3D printed parts. If you have an FDM Printer you can print out the parts with PLA filament (don´t use ABS it will get dissolved by the resin). I glued the parts with 2K epoxy but i guess you could just use some Resin and harden it with a UV lamp. I used 68g of FunToDo PDMS mixture (PDMS+activator).